Gifts Ideas - Viva La - Business card and key tag gift set. Viva La - Business card and key tag gift set. Business card and key tag gift set. Aluminum business card holder with colored case accents, includes metal key tag with matching color leather strap. 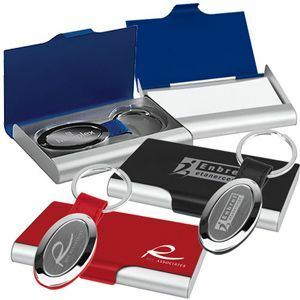 Tags: Business card and key tag gift set.